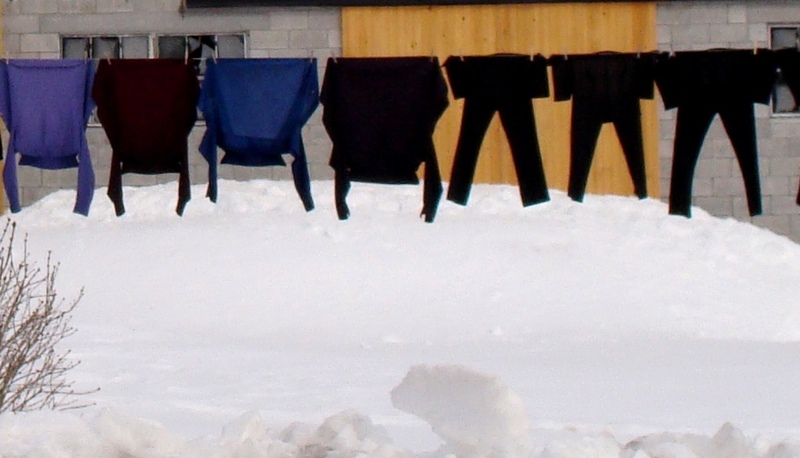 Laundry goes out on the line even in the snow! This reminds me of when I was growing up. 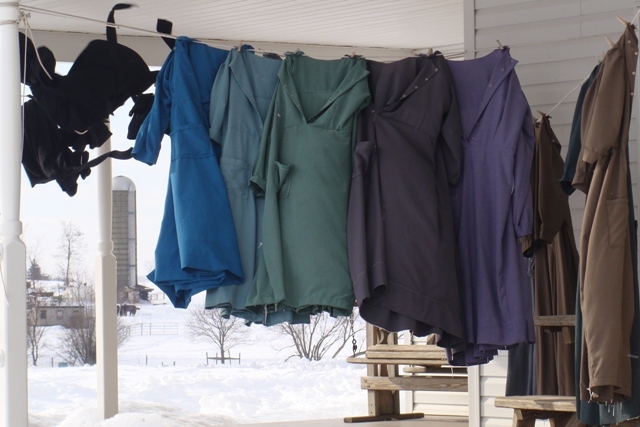 Although we had a dryer my dad insisted that my mom put the clothes out on the line as long as it wasn’t actually raining or snowing: winter, spring, summer and fall. The only time this was a real problem was in the dead of winter. Although it might be sunny outside it is still very cold. The effect is that the clothes actually freeze instead of dry. Then when they become stiff as boards they are brought indoors and put around the heaters or stove to dry out. I still remember our towels being as rough as sand paper from this process, which explains why I love fabric softener. When I was at Mary’s house yesterday there were the dress and clothes on the line and the towels around the coal stove inside. Ahh, just like my childhood days. I think I was raised Amish and just didn’t know it! 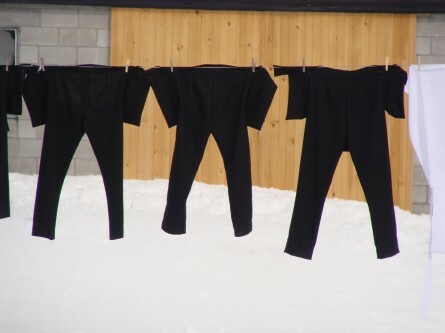 So the next time you pop your wet clothes into the dryer think about having to put them out on the line in the freezing weather and then bringing them in to thaw out! You might just get down on your knees and kiss your Kenmore.